Police in the West Midlands region of the UK have seized an estimated £3m ($4.2m) in counterfeit alcohol and tobacco products from a site in Birmingham. Officers have been cutting open around 200 shipping containers at the facility, believed to be a self-storage site providing individuals and businesses low-cost rental containers which were being used in some instances by criminals. 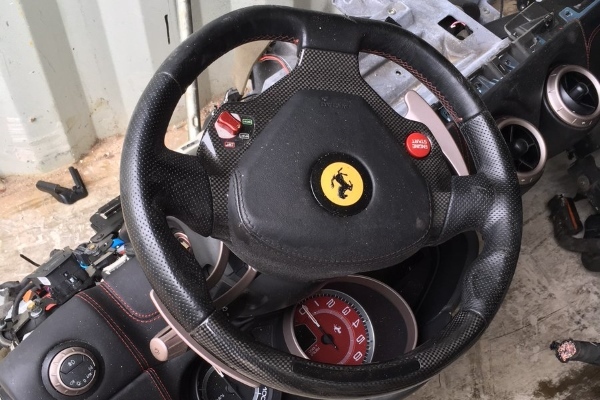 The case is a good example of how criminal networks are mixing counterfeit good trafficking with other nefarious activities, as police also uncovered components likely stripped from stolen vehicles – including prestige brands like Ferrari and Audi as well as commercial vans – destined for black market sales. The raid took place on March 28 and at the time West Midlands police issued a statement they had opened 30 containers and discovered parts from nine stolen vehicles. “This is a significant blow to organised criminals who wrongly believe they can operate under the radar and out of sight,” commented Det Insp Rod Rose of Force CID. No arrests have yet been made, but investigations continue.